Around 88 million tonnes of food is wasted annually in the EU, with associated costs estimated at 143 billion euros (source). About 40% of loss happens at the consumer level. Fruits and vegetables are wasted most often. Tied for second are dairy products and bread. Meat is third, but it has the biggest impact. Although I make sure not to throw any food away I still make mistakes. I am bad at estimating the quantities to cook, I have baking supplies I don’t know how to use and my fresh herbs go bad too fast. Moreover, I could learn what to do with food scraps, optimise fridge organization and use the freezer more. Keep a running list together with quantities of what you need. Shop smart, plan meals, buy accordingly. Don’t stock up on a product you will only need a little off for some fancy meal you will never cook or bake again. Buy less and more often. Monitor what you throw away together with its costs. Do not go food shopping when hungry, you’ll end up buying much more than what you need. Buy funny looking products, ugly fruits, lonely bananas. They are the most likely to get tossed. Buy local since it is fresher. Support responsible groceries instead of big chains that are known to waste a lot. When unpacking groceries, put new things at the back and old one in front in order to eat them first. Put things that will go bad soon “in your face” so that you see it immediately, or even make a box for them. Plan meals around what you already have at home. Check expiry dates and use up that. Designate one dinner each week as a use-up meal. Use all the pieces of food- check the internet for suggestions. If it is too ripe, use for baking or smoothies. Wait to wash berries until you want to eat them to prevent mold. Many fruits give off natural gases as they ripen, making other nearby produce spoil faster. Store bananas, apples, and tomatoes by themselves, and store fruits and vegetables in different bins. Store garlic and onions separate from potatoes to prevent onions from ripening quickly. Eat leftovers. Freeze what you cannot eat. Freeze food such as bread, sliced fruit, or meat that you know you won’t be able to eat in time. Share with friends. Donate to other people what you cannot eat via Foodsharing or similar and save food that would go to waste yourself. If you are on the wild side, try dumpster diving. A full freezer retains cold better than an empty one. When you open the door, the mass of frozen food will help keep in the cold, and the unit won’t have to work as hard to cool empty space. But don’t jam pack the freezer either, as the air needs to circulate. Wrap and pack appropriately and label. Cut everything before hand. While most fresh produce does well in the freezer, certain items become inedible after some time in the freezer. Avoid freezing very watery fruits and vegetables, like cucumbers, citrus, melon of all types, and apples. They can turn mushy and tasteless. Store dry foods in airtight containers. Store food properly in the fridge and in the freezer. Check the fridge if it is working on maximum efficiency 1-5 C. Avoid clutter in your fridge, pantry and freezer. To extend the shelf life of fresh herbs place the herbs in the plastic bag, add a couple of tablespoons of water into the bag and then tie the bag with a loose knot, and store in the fridge. Trust your nose more than the expiry dates. We throw food away because we misunderstood that when food is old, it makes us sick. The main reasons for illness are pathogens that contaminate food during production. We mostly just need to be careful with mold, green potatoes, and rancid meat, oil, or nuts. Try some of the food preservation methods: Drying, Freezing, Canning, Vacuum Treatment, Sugaring, Salting, Pickling. Compost but also rethink what you compost. Keep a broth bag in the freezer. Put in carrot ends, the knobs and peels from most veggies, mushroom stalks, stems from herbs, the occasional potato peels, garlic that is about to go bad the papery garlic shells or anything that would be good in broth. Turn into stock and use for soups. Eat smaller portion as you can take more if needed (probably the easiest way to lose weight). It helps to have smaller plates. Do not over-serve people like the grandmas like to. Listen to your body. Consider splitting the dish at a restaurant if the portions are big. Take leftovers home. Don’t use trays as people tend to take too much food and without trays, they can only carry as much as they can eat. Support restaurants that prepare wasted food, if there is any around. 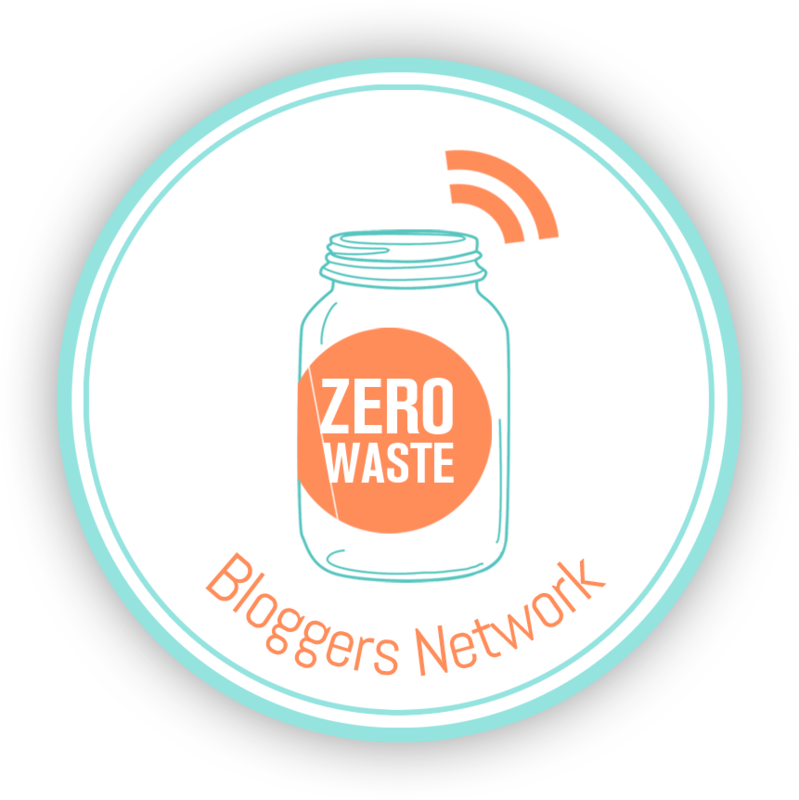 Previous Post What is “zero waste” and why not just recycle? I was looking through some of your content on this internet site and I conceive this web site is rattling instructive! Keep putting up. I simply want to say I’m beginner to blogs and actually loved your blog site. Very likely I’m want to bookmark your blog post . You absolutely come with outstanding stories. Bless you for sharing your web site. hi!,I really like your writing very so much! share we communicate extra about your post on AOL? I need a specialist in this area to resolve my problem. May be that is you! Having a look forward to see you. A person necessarily assist to make severely articles I might state. That is the very first time I frequented your web page and up to now? I surprised with the analysis you made to create this actual publish incredible. Great task! hello there and thank you for your information – I have definitely picked up anything new from right here. I did however expertise a few technical issues using this web site, since I experienced to reload the site many times previous to I could get it to load correctly. I had been wondering if your web host is OK? Not that I’m complaining, but slow loading instances times will often affect your placement in google and could damage your high quality score if advertising and marketing with Adwords. Anyway I’m adding this RSS to my e-mail and could look out for much more of your respective fascinating content. Make sure you update this again very soon.. I precisely wished to appreciate you once again. I’m not certain what I might have tried without the type of strategies discussed by you directly on such a problem. It had become a real fearsome circumstance in my opinion, but looking at this specialized fashion you managed it forced me to jump for fulfillment. I’m grateful for this support and thus wish you realize what a great job that you’re putting in training the others thru your blog post. I know that you haven’t encountered all of us. I have to show my appreciation to the writer just for bailing me out of this particular setting. Because of surfing around throughout the internet and seeing views which are not helpful, I believed my entire life was gone. Living without the presence of solutions to the difficulties you have sorted out all through the short article is a crucial case, as well as ones that could have adversely affected my entire career if I hadn’t come across your website. Your good training and kindness in taking care of all areas was excellent. I’m not sure what I would’ve done if I had not encountered such a thing like this. I can at this moment look ahead to my future. Thanks for your time very much for your skilled and results-oriented help. I will not hesitate to suggest your blog to anybody who will need recommendations on this subject. I was just looking for this info for a while. After six hours of continuous Googleing, finally I got it in your site. I wonder what’s the lack of Google strategy that do not rank this kind of informative web sites in top of the list. Normally the top web sites are full of garbage. It¡¦s really a great and helpful piece of info. I¡¦m glad that you just shared this helpful information with us. Please keep us up to date like this. Thanks for sharing. Useful information. Lucky me I discovered your site by chance, and I’m shocked why this coincidence didn’t happened earlier! I bookmarked it. you are in reality a good webmaster. The site loading velocity is amazing. It sort of feels that you are doing any unique trick. Moreover, The contents are masterpiece. you have done a wonderful activity in this subject! Great tremendous things here. I am very happy to look your article. Thank you so much and i am taking a look ahead to contact you. Will you please drop me a e-mail? Thank you a lot for providing individuals with remarkably marvellous opportunity to read articles and blog posts from this website. It is always very sweet and as well , jam-packed with a lot of fun for me and my office fellow workers to visit your site at least three times every week to study the fresh items you have. Of course, I am just always motivated with all the outstanding points you give. Selected 2 ideas in this post are basically the most effective I have ever had. I intended to send you this bit of observation to be able to thank you very much over again relating to the striking methods you have featured in this case. It has been simply tremendously open-handed with you to allow easily precisely what a number of people could possibly have advertised for an e-book to help with making some money for their own end, most notably since you might have done it if you considered necessary. Those guidelines additionally worked to become a good way to be certain that the rest have the identical interest just as mine to know the truth a great deal more related to this condition. I am certain there are thousands of more enjoyable sessions ahead for individuals that scan through your website. Great remarkable issues here. I am very glad to peer your post. Thanks so much and i’m looking forward to touch you. Will you please drop me a e-mail? I have been surfing on-line more than three hours today, but I by no means found any interesting article like yours. It is lovely price enough for me. Personally, if all website owners and bloggers made just right content material as you probably did, the internet shall be much more useful than ever before. You could definitely see your skills within the work you write. The arena hopes for more passionate writers such as you who are not afraid to say how they believe. At all times follow your heart. Thank you for some other great article. Where else could anyone get that type of information in such an ideal approach of writing? I have a presentation subsequent week, and I am at the search for such info. Hello there, I found your blog by the use of Google whilst searching for a similar matter, your website came up, it looks good. I have bookmarked it in my google bookmarks. Hello my friend! I want to say that this post is awesome, great written and include almost all significant infos. I¡¦d like to peer more posts like this . Somebody essentially help to make severely posts I would state. This is the very first time I frequented your web page and so far? I surprised with the analysis you made to create this particular put up extraordinary. Excellent activity! I as well as my friends were actually going through the best guidelines on your web site while quickly I had a terrible suspicion I had not expressed respect to the site owner for those strategies. All of the young boys happened to be for this reason warmed to read them and have very much been taking pleasure in these things. Appreciation for actually being quite considerate as well as for using varieties of fabulous subjects millions of individuals are really desirous to understand about. Our own honest regret for not saying thanks to earlier. Hiya, I am really glad I have found this info. Nowadays bloggers publish only about gossips and net and this is really irritating. A good web site with exciting content, that’s what I need. Thanks for keeping this website, I’ll be visiting it. Do you do newsletters? Can’t find it. A lot of thanks for all of your effort on this web site. Kim loves making time for internet research and it’s really easy to see why. A lot of people notice all of the lively tactic you make rewarding tricks on the website and as well as inspire response from some others on the matter then my girl is always becoming educated a lot of things. Enjoy the rest of the new year. You have been doing a dazzling job. I have been surfing on-line more than 3 hours as of late, yet I by no means found any fascinating article like yours. It¡¦s pretty value sufficient for me. In my view, if all web owners and bloggers made good content material as you did, the web will likely be a lot more helpful than ever before. Wow, marvelous blog layout! How long have you been blogging for? you made blogging look easy. The whole glance of your web site is great, let alone the content material! I’m still learning from you, as I’m trying to achieve my goals. I absolutely enjoy reading all that is written on your blog.Keep the stories coming. I enjoyed it! I not to mention my pals have been studying the great procedures found on your web blog and then immediately developed an awful feeling I had not expressed respect to the blog owner for them. All of the women happened to be absolutely very interested to read them and have truly been enjoying those things. I appreciate you for indeed being quite kind and also for finding this form of beneficial themes millions of individuals are really eager to discover. Our honest regret for not expressing appreciation to you sooner. What i don’t realize is in fact how you are no longer really a lot more smartly-liked than you may be now. You are so intelligent. You know thus considerably on the subject of this topic, produced me individually imagine it from numerous varied angles. Its like women and men are not involved except it¡¦s something to do with Girl gaga! Your individual stuffs excellent. Always take care of it up! It is actually a nice and useful piece of info. I am happy that you just shared this helpful info with us. Please keep us up to date like this. Thanks for sharing. Great amazing issues here. I¡¦m very glad to peer your post. Thank you so much and i am having a look ahead to touch you. Will you please drop me a e-mail? I precisely needed to thank you very much yet again. I’m not certain the things that I would have created without the actual pointers shared by you about that subject. It absolutely was an absolute horrifying setting for me personally, nevertheless taking a look at the specialised avenue you managed the issue forced me to cry over delight. Now i am thankful for this help and then sincerely hope you know what an amazing job you were undertaking teaching many people thru your webblog. I am certain you haven’t got to know all of us. A person essentially assist to make seriously posts I would state. This is the first time I frequented your website page and up to now? I surprised with the analysis you made to create this particular publish incredible. Fantastic activity! I¡¦ve read several just right stuff here. Definitely value bookmarking for revisiting. I wonder how so much effort you set to make this kind of fantastic informative website. I¡¦ve learn some excellent stuff here. Certainly worth bookmarking for revisiting. I surprise how a lot attempt you put to create this sort of wonderful informative site. Thanks for another fantastic post. Where else may anybody get that kind of info in such an ideal manner of writing? I have a presentation next week, and I am on the look for such info. I am no longer sure the place you are getting your information, but great topic. I must spend a while studying much more or figuring out more. Thanks for fantastic info I used to be on the lookout for this information for my mission. I¡¦m not certain where you are getting your info, however great topic. I needs to spend a while learning much more or figuring out more. Thank you for fantastic information I was on the lookout for this information for my mission. You really make it appear really easy together with your presentation but I in finding this matter to be actually something which I feel I’d by no means understand. It kind of feels too complicated and very broad for me. I am taking a look forward on your next publish, I will try to get the grasp of it! My wife and i ended up being quite fulfilled Michael managed to finish off his researching while using the precious recommendations he discovered from your web pages. It’s not at all simplistic just to possibly be giving for free strategies other people could have been trying to sell. And now we discover we’ve got the blog owner to be grateful to for this. All the explanations you made, the straightforward web site menu, the friendships you give support to create – it is most sensational, and it’s assisting our son in addition to our family feel that the theme is interesting, which is particularly fundamental. Thank you for the whole lot! I have been surfing online more than three hours as of late, yet I never found any interesting article like yours. It is beautiful value enough for me. In my view, if all webmasters and bloggers made just right content material as you did, the net might be much more useful than ever before. I do accept as true with all the concepts you have offered in your post. They are very convincing and will certainly work. Nonetheless, the posts are too quick for beginners. May you please lengthen them a little from subsequent time? Thank you for the post. Great post. I was checking constantly this blog and I’m impressed! Extremely useful info specially the last part 🙂 I care for such information much. I was seeking this certain info for a long time. Thank you and good luck. Great ¡V I should definitely pronounce, impressed with your web site. I had no trouble navigating through all tabs and related info ended up being truly simple to do to access. I recently found what I hoped for before you know it in the least. Reasonably unusual. Is likely to appreciate it for those who add forums or anything, site theme . a tones way for your customer to communicate. Excellent task.. I needed to create you a bit of observation to help say thanks a lot yet again relating to the spectacular thoughts you’ve documented on this website. It’s really tremendously open-handed of people like you to grant unhampered what most of us would’ve made available for an e-book to generate some profit on their own, primarily considering the fact that you could possibly have tried it if you ever considered necessary. These basics likewise worked like the good way to understand that the rest have a similar dream like my very own to grasp a lot more when it comes to this matter. I’m certain there are thousands of more enjoyable instances in the future for individuals that start reading your site. hello!,I like your writing very much! share we keep in touch extra about your post on AOL? I require an expert on this house to unravel my problem. May be that is you! Looking forward to look you. I am no longer certain where you are getting your information, however good topic. I needs to spend some time finding out much more or figuring out more. Thank you for great information I was in search of this information for my mission. Thank you a lot for sharing this with all of us you actually recognise what you are talking about! Bookmarked. Kindly also discuss with my website =). We could have a hyperlink exchange arrangement among us! Hiya very nice blog!! Guy .. Beautiful .. Wonderful .. I’ll bookmark your website and take the feeds also¡KI’m glad to find numerous useful info here within the publish, we’d like work out more techniques on this regard, thanks for sharing. . . . . . I do consider all of the concepts you’ve introduced for your post. They’re very convincing and can definitely work. Still, the posts are too short for starters. Could you please extend them a little from next time? Thank you for the post. I want to show my appreciation for your kind-heartedness for people who really want help on in this concern. Your very own dedication to getting the solution all around became extraordinarily good and have truly empowered somebody like me to realize their ambitions. Your personal useful suggestions means a lot to me and especially to my mates. Thank you; from all of us. whoah this blog is excellent i like reading your posts. Stay up the good paintings! You realize, lots of people are looking round for this information, you can help them greatly. Very good written information. It will be beneficial to anybody who employess it, as well as myself. Keep doing what you are doing – can’r wait to read more posts. Thank you for your whole effort on this web page. My mother enjoys making time for investigations and it’s really easy to understand why. Almost all hear all relating to the dynamic form you convey very important tips via your web site and as well as strongly encourage participation from other people about this matter so my daughter is actually understanding a lot of things. Take pleasure in the rest of the new year. You’re conducting a very good job. I wanted to write a brief word in order to say thanks to you for all of the nice information you are posting on this website. My considerable internet lookup has now been compensated with high-quality facts and strategies to exchange with my family members. I ‘d suppose that many of us readers actually are very much lucky to exist in a superb community with very many special people with helpful strategies. I feel pretty lucky to have encountered your entire webpage and look forward to really more entertaining moments reading here. Thanks once more for a lot of things. I have been exploring for a little for any high quality articles or weblog posts on this sort of space . Exploring in Yahoo I eventually stumbled upon this site. Reading this information So i¡¦m happy to exhibit that I have a very just right uncanny feeling I came upon just what I needed. I such a lot for sure will make certain to don¡¦t fail to remember this web site and give it a glance on a relentless basis. Thank you a lot for sharing this with all of us you actually realize what you are talking approximately! Bookmarked. Please also visit my website =). We may have a link trade contract among us! Excellent goods from you, man. I have understand your stuff previous to and you’re just too excellent. I actually like what you have acquired here, really like what you’re stating and the way in which you say it. You make it entertaining and you still take care of to keep it wise. I can not wait to read much more from you. This is really a wonderful website. fantastic post, very informative. I ponder why the other experts of this sector do not notice this. You should continue your writing. I am confident, you have a huge readers’ base already! Just wish to say your article is as astounding. The clarity in your post is simply excellent and i could assume you are an expert on this subject. Well with your permission let me to grab your RSS feed to keep up to date with forthcoming post. Thanks a million and please carry on the rewarding work. fantastic submit, very informative. I wonder why the other specialists of this sector do not notice this. You must continue your writing. I am confident, you have a huge readers’ base already! I simply desired to appreciate you once more. I do not know the things I would’ve undertaken without the actual strategies discussed by you relating to this topic. It seemed to be a real intimidating difficulty in my position, but considering your expert style you dealt with it made me to leap with gladness. Now i’m happier for your guidance as well as trust you realize what a powerful job you happen to be providing training many others thru your web site. Most likely you’ve never got to know all of us. I together with my pals have already been checking out the nice guides located on the website while before long came up with a horrible suspicion I had not thanked the site owner for them. My guys appeared to be for that reason joyful to read through all of them and now have truly been making the most of those things. I appreciate you for truly being simply helpful and then for getting this kind of quality issues most people are really desperate to know about. My very own sincere apologies for not expressing gratitude to sooner. whoah this weblog is excellent i like studying your articles. Stay up the good paintings! You already know, a lot of persons are looking around for this info, you could aid them greatly. Thank you for sharing superb informations. Your site is very cool. I am impressed by the details that you¡¦ve on this website. It reveals how nicely you perceive this subject. Bookmarked this web page, will come back for more articles. You, my pal, ROCK! I found just the information I already searched all over the place and just couldn’t come across. What a great web site. I am just writing to make you understand of the really good experience my wife’s child went through viewing yuor web blog. She even learned such a lot of details, most notably how it is like to possess an awesome helping spirit to get a number of people with no trouble know precisely a number of grueling issues. You really exceeded readers’ desires. I appreciate you for rendering such valuable, trustworthy, educational not to mention unique guidance on the topic to Lizeth. I am no longer positive where you’re getting your information, however great topic. I must spend some time finding out much more or understanding more. Thank you for great information I was on the lookout for this information for my mission. Hello, Neat post. There’s an issue with your website in internet explorer, might test this¡K IE nonetheless is the marketplace chief and a huge element of folks will pass over your magnificent writing due to this problem. Thank you for some other informative website. The place else could I get that kind of info written in such an ideal means? I’ve a challenge that I am just now operating on, and I have been on the glance out for such info. Wonderful web site. A lot of useful information here. I am sending it to several buddies ans additionally sharing in delicious. And of course, thank you on your sweat! I not to mention my buddies were actually going through the good recommendations located on your web site and suddenly I got an awful suspicion I never expressed respect to the site owner for those secrets. My men ended up for this reason stimulated to study them and have in effect surely been taking pleasure in these things. Appreciation for genuinely quite kind as well as for opting for this form of tremendous subject areas most people are really desirous to be aware of. My honest regret for not expressing gratitude to earlier. Hi there, I found your blog via Google even as looking for a related matter, your web site came up, it looks good. I have bookmarked it in my google bookmarks. Whats Taking place i’m new to this, I stumbled upon this I have discovered It absolutely helpful and it has helped me out loads. I am hoping to contribute & help other users like its aided me. Great job. Magnificent website. A lot of useful information here. I¡¦m sending it to several friends ans also sharing in delicious. And of course, thank you on your sweat! Hi, Neat post. There’s an issue along with your website in internet explorer, might test this¡K IE still is the market leader and a huge element of other folks will miss your fantastic writing because of this problem. I truly wanted to send a quick note in order to appreciate you for these precious pointers you are showing on this website. My time-consuming internet investigation has finally been recognized with extremely good know-how to share with my relatives. I would claim that many of us visitors are definitely endowed to dwell in a superb community with many brilliant professionals with very beneficial points. I feel extremely lucky to have discovered the weblog and look forward to really more fabulous moments reading here. Thanks once again for all the details. I have to show my admiration for your generosity in support of people who should have help on this particular area of interest. Your special commitment to passing the solution throughout has been extremely productive and has without exception enabled some individuals much like me to realize their aims. The warm and helpful information means much to me and still more to my fellow workers. Regards; from each one of us. Thanks a bunch for sharing this with all folks you actually realize what you’re speaking about! Bookmarked. Please also consult with my web site =). We could have a link alternate arrangement among us! Thanks , I’ve just been looking for information about this topic for ages and yours is the best I have came upon so far. But, what about the bottom line? Are you positive in regards to the supply? Somebody necessarily help to make seriously articles I might state. This is the very first time I frequented your web page and thus far? I amazed with the research you made to make this particular publish amazing. Fantastic job! I have been surfing online more than 3 hours as of late, but I by no means found any fascinating article like yours. It is beautiful price enough for me. In my opinion, if all website owners and bloggers made excellent content as you probably did, the web will probably be a lot more helpful than ever before. Thank you for sharing superb informations. Your website is so cool. I am impressed by the details that you¡¦ve on this blog. It reveals how nicely you understand this subject. Bookmarked this web page, will come back for more articles. You, my friend, ROCK! I found just the info I already searched everywhere and simply could not come across. What a great web site. I have been browsing on-line more than three hours nowadays, but I never found any interesting article like yours. It is beautiful worth enough for me. Personally, if all webmasters and bloggers made excellent content material as you probably did, the internet shall be much more helpful than ever before. What are the very best free blog sites that enable user-sponsored advertising as well as sales? I would like to thank you for the efforts you have put in writing this web site. I am hoping the same high-grade blog post from you in the upcoming as well. In fact your creative writing abilities has encouraged me to get my own website now. Actually the blogging is spreading its wings fast. Your write up is a great example of it. Thank you for your whole effort on this web site. My aunt enjoys making time for investigation and it’s really easy to see why. We know all about the lively manner you make priceless steps via the web blog and in addition welcome response from visitors on the situation and my child is truly understanding a lot. Take advantage of the remaining portion of the new year. You have been performing a dazzling job.